Small yet absolutely beautiful, the island of Patmos is ideal for a relaxing holiday. Boasting a coastline of marvelous beaches and many quaint places to see, this island is a destination you'll hardly ever get bored in. 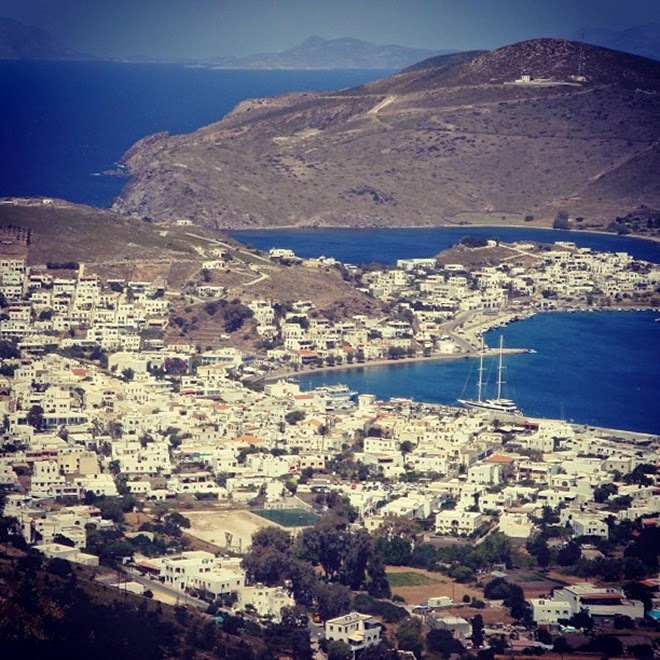 Also, thanks to its proximity to other islands of the Dodecanese, Patmos can also be your starting point for a day trip in Leros, Kos or the smaller islets of Lipsoi and Fournoi. For some sightseeing, you should definitely visit the Cave of Apocalypse, which is located around 10-15 minutes walking from the center of Patmos. This is the exact place where Jesus' beloved student, John, wrote the Apocalypse. Visitors will be impressed by the church of Agia Anna set into the sacred Cave. If you wish to spend a whole day on a stunning beach with emerald waters, then opt for Livadi Geranou. The scenic beach is surrounded by islets creating a setting resembling the Scandinavian fiords. This stretch of sand is also surrounded by greenery and features a sea view taverna, where you can have lunch after your rewarding day on the beach. In case you'd like to visit any of the nearby islands, then Lipsoi would be a great choice, as here you can spend a day in pristine nature, soaking up that all important sun, sea and sand! Take the boat from the harbor of Skala in Patmos, which costs approximately 15 Euros per person. The islands' Medieval town is amphitheatrically built boasting magnificent views over Skala and also offers an atmosphere of mystery, as well as romance. If you wish to have a drink or just a fun night out just wander around Chora's cobbled streets and you'll find cozy and sophisticated bars or even well-soundproofed nightclubs. There is a wealth of traditional tavernas in Skala, Chora and the nearby villages, such as Groikos and Kampos. To get an authentic taste of Patmos don't forget to order some fresh fish and sea food, such as squids stuffed with rice and stew with octopus.